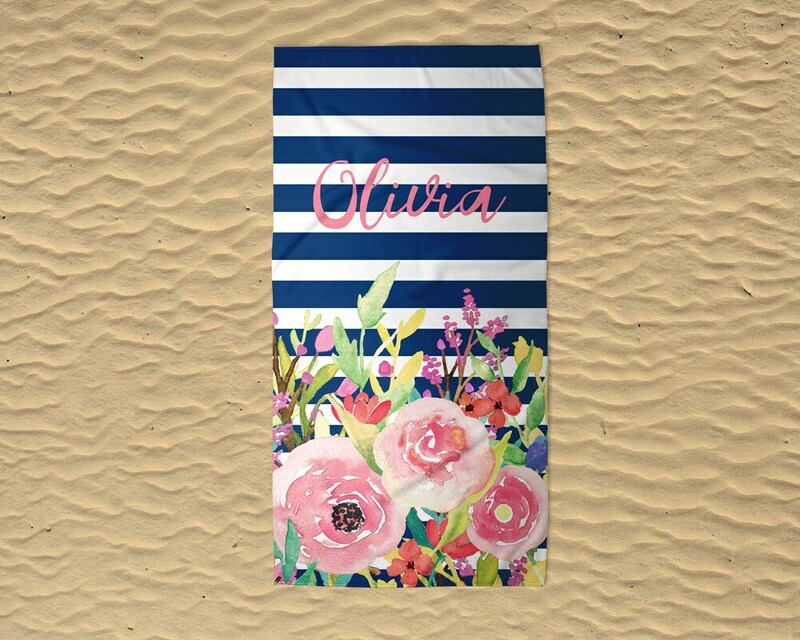 Hit the beach, pool, or lake in style this summer with your own personalized, floral stripe beach towel. 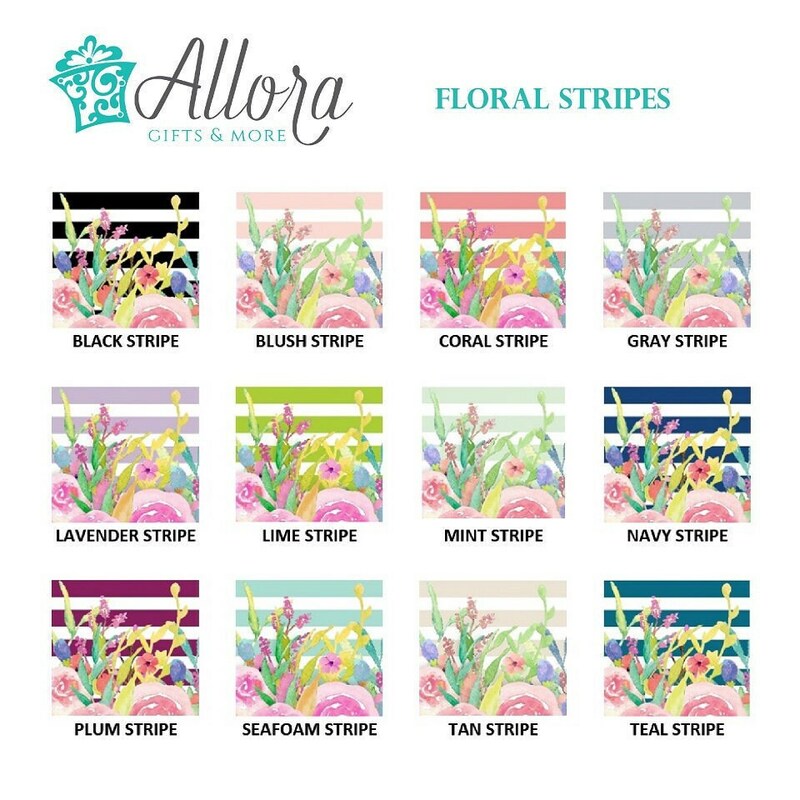 They are lightweight and fold compactly for easy carrying in your tote, while also being absorbent to make it great for drying off after being in the water. The back side of the towel is an absorbent, white terry cloth, made of 50/50 poly-cotton. 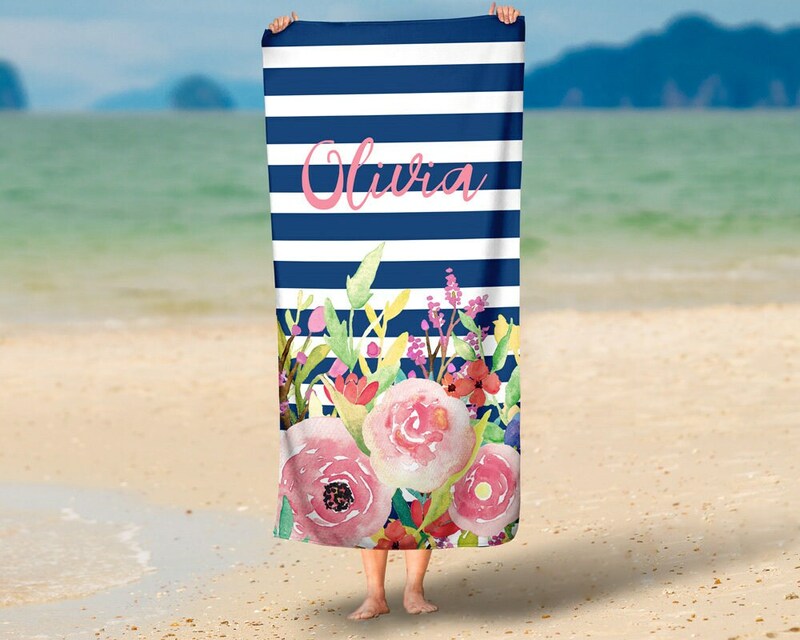 The front of the towel is made of soft, microfiber velour that is printed with your custom design. 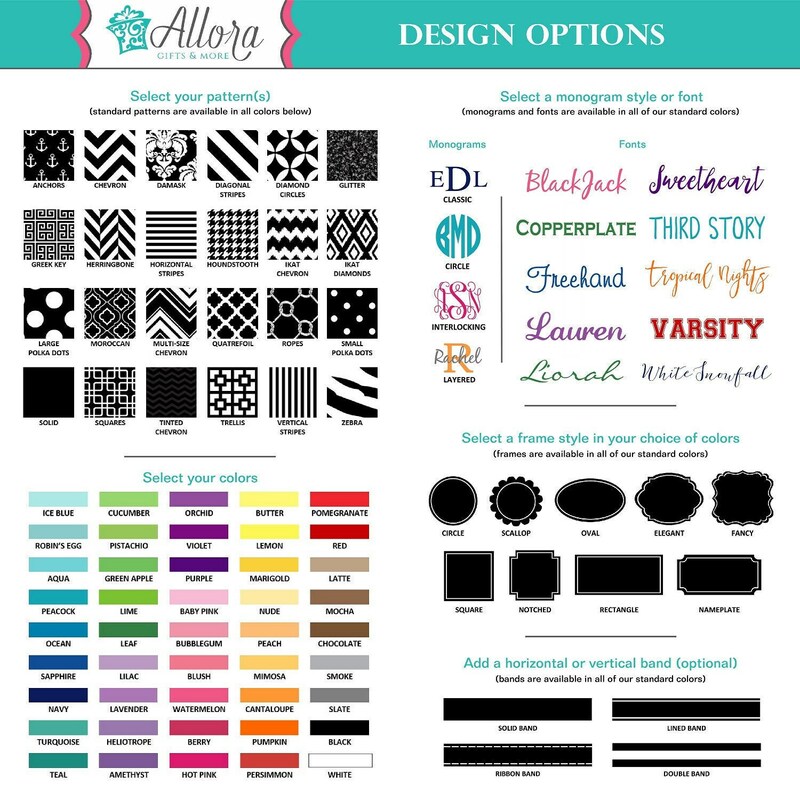 The specialized printing process ensures that the colors stay vibrant for years to come! Towels measure 30" x 60". 1. 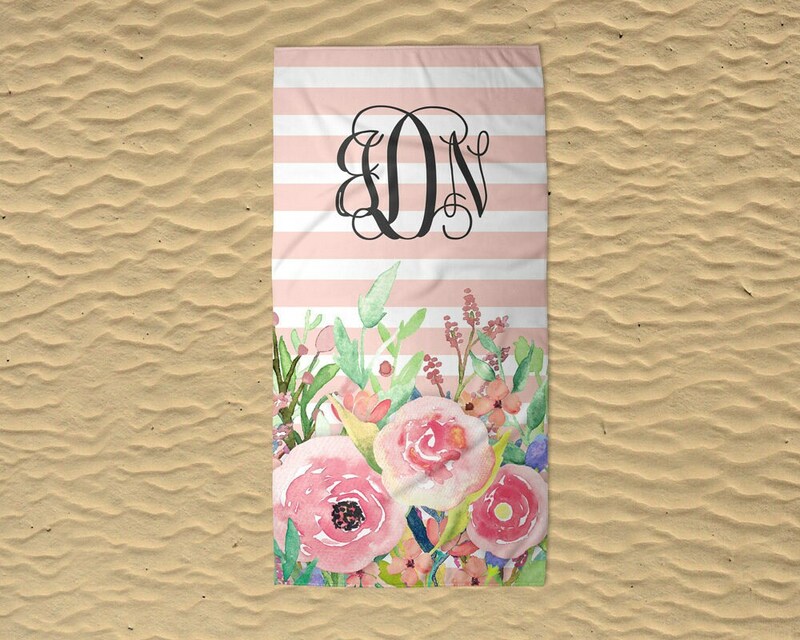 Select your towel style and stripe color from the drop-down menus and click "Add to Cart." 2. List the name or initials, along with your font choice, in the note to seller box in the shopping cart. Initials should be listed in monogram order: "first, LAST, middle" (example: Anna Marie Smith would be written "aSm").